Before even the introduction of the iPad or even the App Store, BeatMaker 1 helped define the iPhone as mobile music platform. From there, it’s grown continuously in feature set and community, with BeatMaker 2 and now BeatMaker 3 each representing not just incremental, but ground-up new apps and radical landmarks in functionality. Ed. : You might look at those older releases if you’ve got a ‘vintage’ device running an earlier OS. Following BeatMaker 3’s release, I wanted to understand direct from the developers how that journey took place. I was curious what had driven them and how they’d made decisions about what to keep and what to throw away. Hopefully you’ll find Intua’s responses as interesting as I have. Intua developer and co-founder Mathieu Garcia responds. Ashley: What was it that first made you think about developing BM1, and how did you go about making it happen in a pre-App Store world? Mathieu: Back in 2006, I was an IT consultant and was sent for a mission in London. The company was looking to create a “proof-of-concept” app that would allow VoIP calls on the iPhone. At the time, months before the launch of the App Store, you had to go through all kind of homemade toolchains and rough documentation. It was pretty interesting project, and one of my tasks was to reverse-engineer the audio layer of iOS 1.x. By the end of the project, they gifted me the development iPhone. During the flight back home, I looked at this futuristic phone and thought it would be pretty nice to write a small drum machine on it, just for the sake of it. Luckily I had a couple of free days ahead and basically spent them reverse-engineering, designing and coding this modest drum-machine called “BeatPhone”. I would be sleeping only a couple of hours a day and barely eating. It was a really creative “rush.” I connected with a very nice IRC community of hackers / devs; George Hotz was one of them. At the time, third-party apps were distributed on a platform called “Cydia,” that was installed automatically after jail-breaking. Ed. : For those not familiar with this process, basically you’d hack an exploit in the phone, allowing custom, non-authorized open source software to run its own application installer on the device. Apple was routinely patching these holes, with hackers rushing to stay one step ahead. Every day, new apps would be made available. I can imagine that a lot of now-established iOS developers started during this period, too. So I uploaded “BeatPhone” in there. It looked pretty horrible, to be honest, and was barely usable at first. I had a blog, too, with install instructions, dev updates, etc. People would reach out, sending encouragement emails, asking for new features, etc. Before the iPhone was even announced, some close friends organized a meetup in Barcelona to brainstorm around a touch-screen based device for music production. It was tricky, since we were not living in the same place, but we kept exchanging for a couple of months. Work and budget came in the way as well. Two of them, Colin and Vincent, who would later become co-founders of INTUA, were part of the project. We attended the same engineering school back in Paris, and we knew each other pretty well. Anyway, a couple of months later, I decided to show them the app “BeatPhone”. During that time, it was evolving quickly. The interest for music creation apps was growing steadily. In a couple of weeks, this turned from a complete hobby side-project to my daily activity. I think I reached somewhere around one million hits on the blog. Vincent and Colin came over in Geneva, I introduced them to the unofficial SDK/toolchain, and naturally, we started brainstorming and designing a new app. UIKit wasn’t even a “thing” at the time, but we had a good friend working on a cross-platform OpenGL widget library for a few years now. We ported it to iOS, and still today, we use this framework. We also wrote an audio engine from scratch, we made blueprints — it was so creative. A few months later, in March 2007, I think, Apple made the big announcement: the App Store was launching in July – perfect timing. We quickly set up a company, got the official SDK, and started adapting the existing code. We were immensely productive and BeatMaker 1 was made available two days after the initial App Store launch. We thought, oh well, at least if we can cover just the basic cost of a modest lifestyle, that’d be great! We had no idea about sales, and I think 15 days later, someone from Apple gave us a call, congratulating us and giving us the first numbers. It was very unexpected. It was becoming real! That was it, we were now convinced we could really continue working on BeatMaker. We quickly went back on the whiteboard and start planning features ahead. INTUA was now a real mobile app company. What was the reaction to BM1? Amazing, really, at least from people who had bought the app. We would get daily encouragements, some super nice fellows reached out, and we naturally started working on artists kits, sound packs, etc. New opportunities would open almost every week, press would reach out, etc. That said, it was still very “niche.” Most artists and producers wouldn’t even consider sketching out a few beats on the iPhone. It made no sense to them, and honestly we could understand why, knowing the limitations of the devices. At the same time, people started sharing their tracks, or even full albums with us, entirely made on iOS. It was taking off; it was clear it would take time for the platform to be really considered as “viable.” The community involved was very supportive, and that really drove us in the right direction. After BM1, what was it that helped you to form the ideas around BM2? Basically, we thought BM1 was focusing too much on the drum aspect and had no real track/instrument paradigm. Limitations are good, but you really had only 16 pads for your track. We looked at what was available on iOS and started scratching our heads, brainstorming a lot. This was maybe only a few months after the initial BM1 launch. We looked at desktop software, too, and decided it made sense to follow the multitrack path, while also focusing on the sampling aspect. It came pretty naturally to improve the existing BM1 drum sampler layout, and complement it with a keyboard sampler. Adding a more advanced sequencer, people would be able to compose full tracks. Originally BM2 had no audio tracks and was designed for iPhones. The iPad came out and gave us even more room for improvements while also focusing on bringing meaningful features. What did you want to achieve with BM2? Trying to bring a solid new app on the iOS world. For us, innovation is paramount. The feature set had to be powerful and [not something users had] seen elsewhere. We knew big names from the industry had a growing interest in developing for iOS, so we absolutely needed to be one step ahead. BM2 was feature-rich, sometimes maybe even too much. The learning curve was a bit steep but after a while, people started finding crazy (genius) workarounds, tricks, and ways to compose. Basically, you got to invent your own workflow to materialize your idea in the app. BM3 was a big step from BM2. How did those ideas come about, and how much did user input help you to make decisions? It was really important for us to address all the workflow issues and discrepancies BM2 suffered from. The idea was to bring something new not only in terms of features, but also on the UX [user experience design]. Again, we like to start fresh while improving concepts that have proven to work well. It was clear BM2‘s strongest points were the sampling and chopping capabilities. This time, we decided to look a bit further than the software world and see what modern gear had to offer. After all, the iPad is a controller, too. Before even hitting the whiteboard once more, we went on our own forums, collected all the feedback (positive & negative), and printed it. We would constantly read and get back to this huge pile of paper — a goldmine, really. The more we were reading it, the more we would grasp what people expected: a concept that would blur the line between a controller and an app. Digesting all of this information took time, but we did not want to rush anything and be sure to come with a novel design. It took us around three years in total. One thing you haven’t done is move out from iOS, either to Android, or indeed to the desktop. 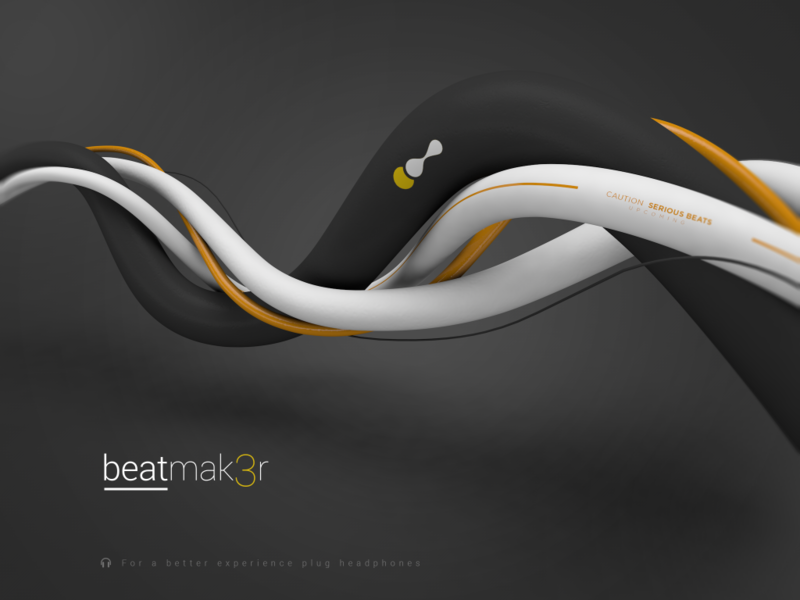 Can you imagine BeatMaker as a desktop DAW? It’s the next logical step, since more and more of our users are asking for BM3 on their Mac or PC. Competition is tough on desktop platforms, and I don’t see BM3 ever replacing the big DAWs out there, and that’s not what we have in mind, anyway. Our users want to transfer their productions back and forth to their studio/computer, without ever getting into manual file transfers and things like that. Offering the same feature set on the go or back at home is what we can provide. We do have a Mac version for internal development and to make the life of sound designers easier, but this isn’t quite what we want to release to the public. Hopefully, 2018 will be the year INTUA makes its first move to the desktop world — it’s a really good opportunity for us. As for Android, well, it’s a tough one. If we can’t provide a similar experience on it, then we’ll keep waiting until it gets a bit more unified. There are so much devices out there, it could really become a nightmare to ensure the app works correctly on all of them. However, I think [Microsoft] Surface / Windows Universal Windows Platform is to look for! Ed. : That’s Microsoft’s family of touch-equipped hardware laptops and tablets, plus the means of targeting traditional desktop Windows users and users of a variety of hardware platforms at the same time – even including things like Xbox and HoloLens. CDM: What does the future look like on iOS for Intua? Intua: The latest iPads and iPhones are often benchmarked against laptops, and I think this says a lot of what’s coming next. Also, some of the frameworks we use to develop on macOS and iOS are merging into a single entity, so clearly, Apple is blurring the lines between both worlds. It’s ambitious to ever consider replacing laptops with tablets, but they can surely complement each other. If we look back, iOS has evolved so much in the past couple of years; iOS 11 brings file management a step closer to the desktop experience. On the audio side, well, Audio Units V3 [plug-in support] was a huge milestone, and our users love integrating their favorite synths and effects directly into BM3. 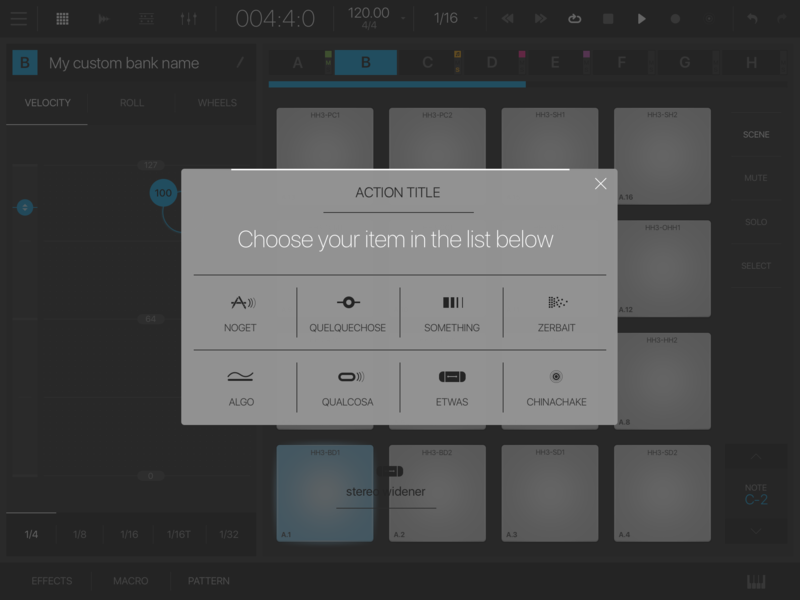 This is a real creativity booster and gives a new dimension to mobile production. It’s even bringing devs to connect, which is great! We’ll keep working on iOS, for sure, and staying in line with Apple’s products and technology is something we actually enjoy doing – especially since the introduction of the “pro” iPads (and now iPhones). If you could give new iOS developers a piece of advice, what would it be? keep listening to them and make sure you don’t break their creativity with a clumsy interface. Even the smallest detail can become a productivity killer. That said, iOS is a land of opportunity; you see indie devs “living” along big companies such as Korg in the music app charts — this is pretty unique! What would you change about iOS, if you could? Luckily, iOS 11 was released not so long ago, but one aspect would be a more streamlined way to manage and transfer files to and from the device. Also, on the hardware side, we need more storage space! Samples, projects, exports, archives, etc. will eat space very quickly. The latest iPads and iPhones come with better storage options (but you pay the price), so I guess it’s going on the right direction. All three versions of BeatMaker are still on the App Store – BM1, BM2 and the latest BM3).